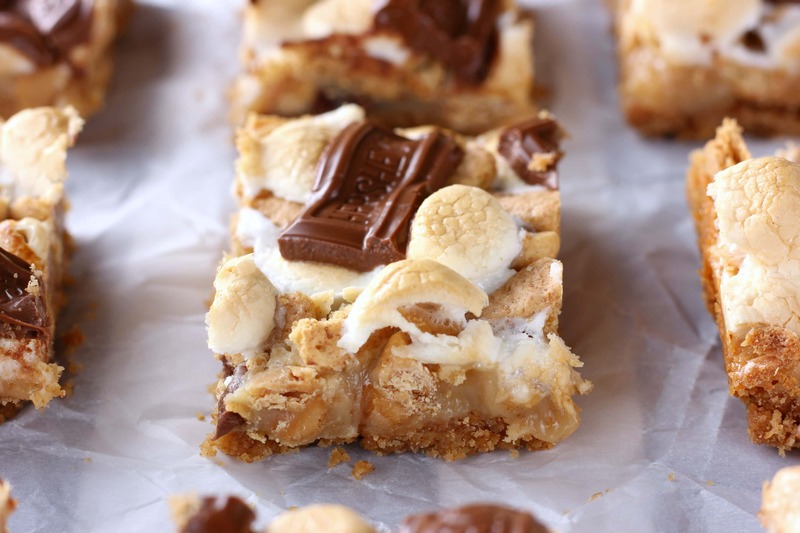 These Peanut Butter S’mores Seven Layer Bars have all of the flavor of a gooey s’more with the irresistible addition of peanut butter! Sweet and salty graham cracker crust and pieces, combined with toasted marshmallows, a layer of gooey peanut butter, and pockets of melty chocolate! We’ve already established on this blog that summer is all about s’mores at our house. And as much as we love s’mores for breakfast and s’mores for snack, we love s’mores for dessert the most! 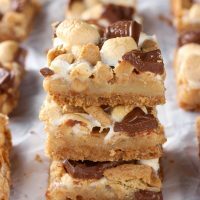 Last year we made these S’mores Seven Layer Bars, and they quickly became a favorite with both our family and from the number of emails from you guys, your families! But we got to thinking, it might be possible to make them even better. Add peanut butter! My husband, who doesn’t like chocolate, likes his s’mores with Reese’s peanut butter cups so he gets more of the peanut butter flavor and just a hint of chocolate. 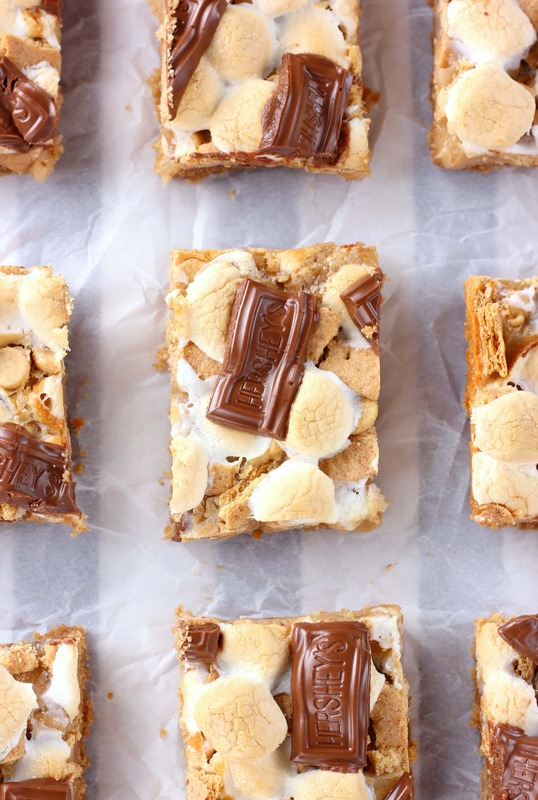 So why not make s’mores seven layer bars that have both peanut butter and peanut butter chips to combine with the Hershey’s pieces to give you that peanut butter cup combo! They ended up just as we were hoping they would! Imagine making a melty s’more with a giant marshmallow and a peanut butter cup. That’s what you have here! In bar form! To accomplish the flavor, we whisked peanut butter into the sweetened condensed milk. We also swapped out semi-sweet chocolate chips for peanut butter chips. We then used more milk chocolate candy bar pieces. And as much as I prefer almost any other chocolate over milk chocolate, I loved the result! 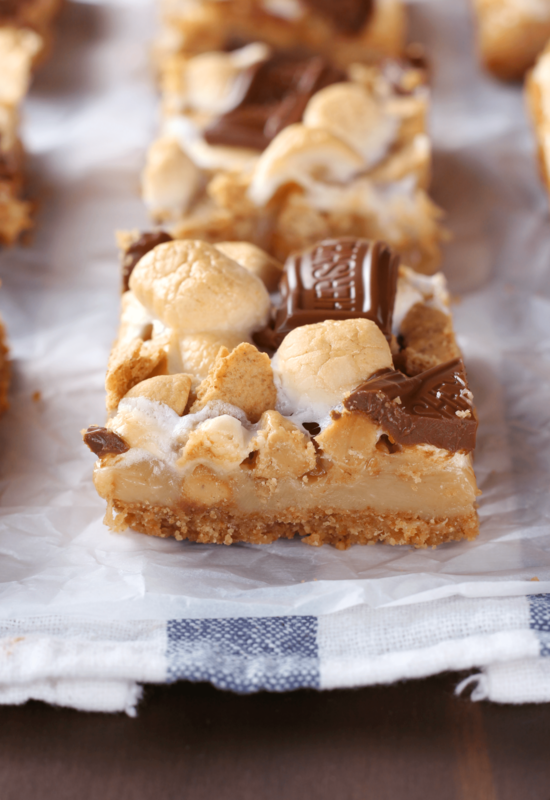 Sweet and salty graham cracker crust and pieces, combined with toasted marshmallows, a layer of gooey peanut butter, and pockets of melty chocolate! Rich, decadent summer dessert bar perfection! 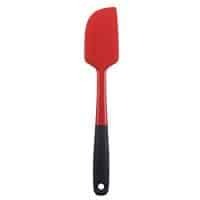 In a small bowl, mix together graham cracker crumbs and melted butter. 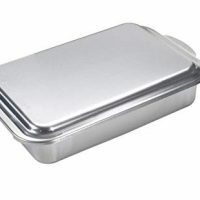 Press mixture into prepared baking dish. Stir together sweetened condensed milk and peanut butter until combined. 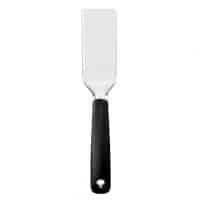 Spread over the top of the graham cracker crust. 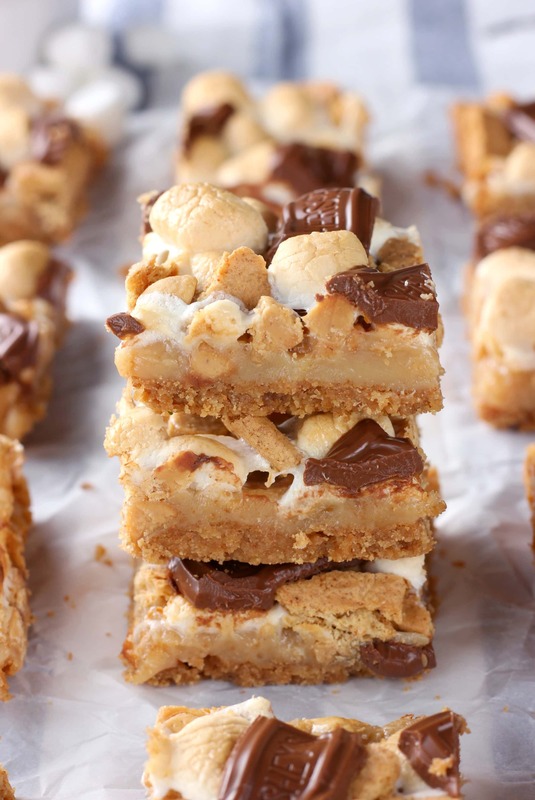 Sprinkle half of marshmallows, all of the peanut butter chips, and graham crackers pieces over the top. Bake for 15 minutes. Remove from oven and sprinkle with remaining marshmallows. Bake for an additional 10-15 minutes or until marshmallows are browned and edges are golden. Ok this is my kind of seven layer bar!! Oh my yum! Pinned!!! Smores plus peanut butter goodness!? These are so right up my alley! These look sooooo good! I love smores, and you seriously can not go wrong with peanut butter. the only way to improve upon s’mores is by bringing pb to the party!!! Wish I had read the recipe more carefully before starting to make these! You add the chocolate pieces after removing the pan from the oven, as listed in step 6. Hope that helps!